We have all heard about the madness of Bangkok during Songkran season but be prepared for far more this April….. 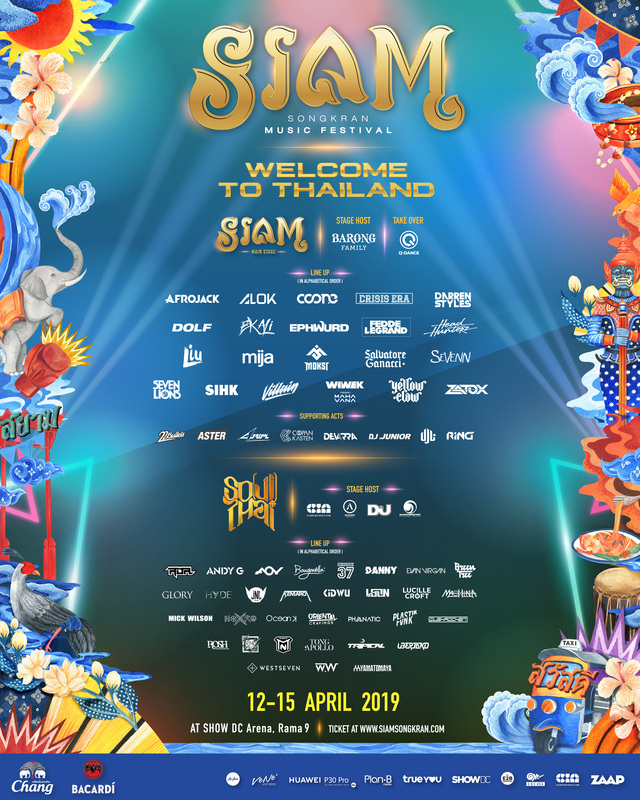 The debut edition of SIAM SongKran Music Festival brings you 4 full days to dripping action to celebrate the joy of Thai tradition and world-class music inside Bangkok’s newest and largest outdoor arena. SIAM SongKran Music Festival fuses the world-known tradition of Songkran – Thailand’s annual water festivals along with EDM superstars: Afrojack, Alok, Fedde Le Grand, Mija, Yellow Claw and others to fuel the crowd for four legendary nights. Surely a weekend to be marked in the books. Feel like taking a break from the craziness? SIAM SongKran Music Festival provides all-round interactive experiences for all attendees. Take a stroll through the vintage markets, brush up on your cooking skills or get swoll with some last minute sparring with Muay Thai experts – all inside the festival!